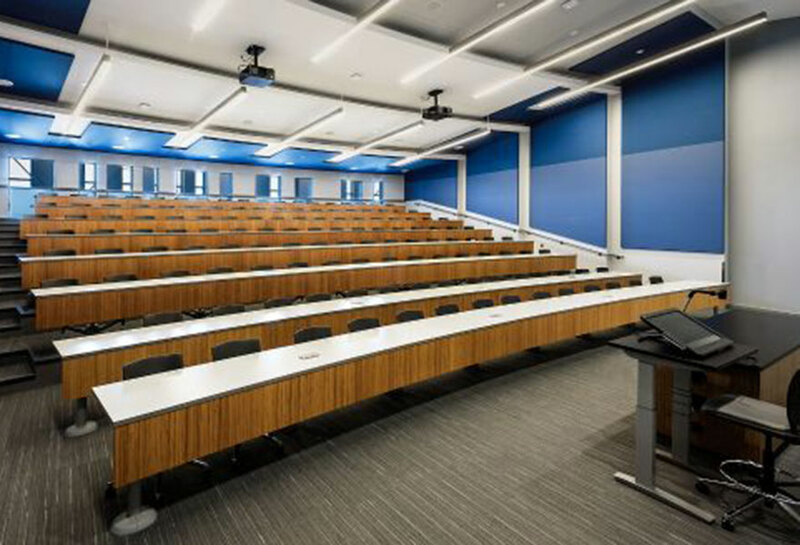 Nickerson Corporation feels that designing efficient lecture room seating directly correlates with student success. 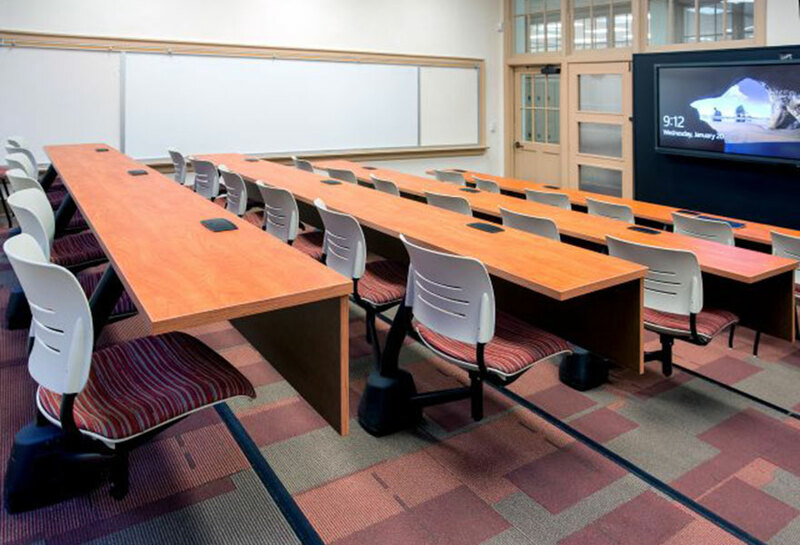 We aren’t just selling school furniture across New York and New Jersey; we are helping schools build innovative lecture rooms that inspire students to learn. Similar to auditorium seating, lecture room seating not only needs to be comfortable, but it should also maximize the number of available seats within the space while ensuring that every student will have a clear view to the front of the room. 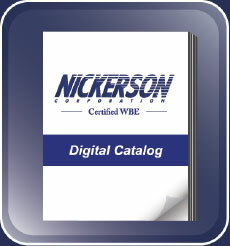 We offer unique product lines that contain outlets for charging of student devices. 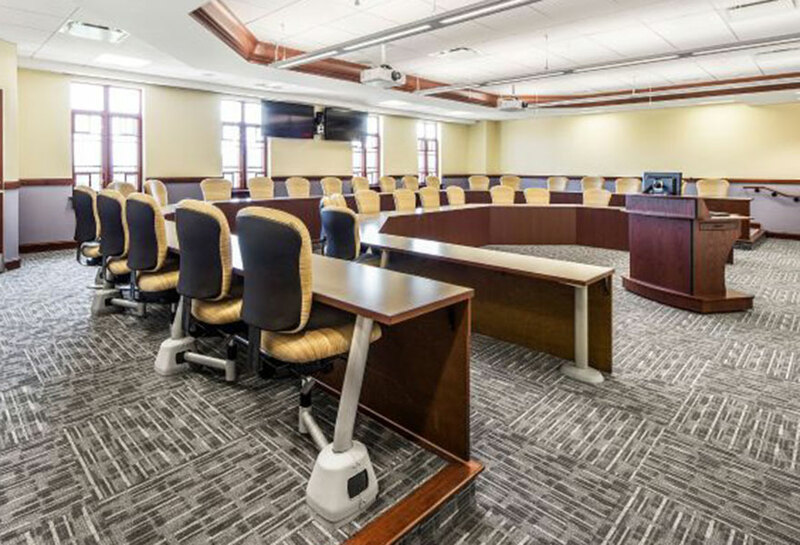 We work with leading classroom furniture manufacturers that can make this blend of comfort, functionality, and efficiency become a reality in your lecture room. Optional power/data module accommodates technology needs. 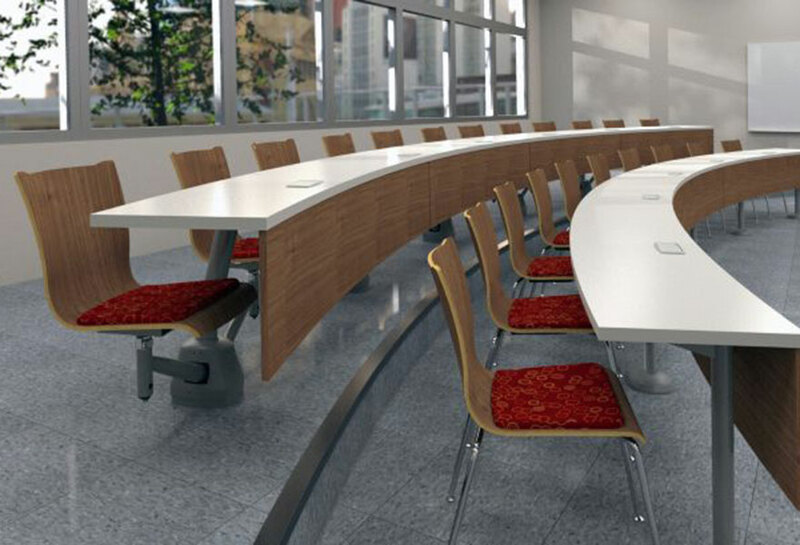 Sequence HD Lecture Hall Seating provides comfortable, condensed fixed seating with sufficient aisle room for easy use and cleaning. With the narrowest row-to-row spacing of any fixed seating, Sequence HD allows for the most efficient seating wherever space is at a premium. Side-to-side spacing is also flexible since arms are independent from seats. Row-to-row aisle space is easy to navigate since seats and tablet arms automatically fold to the stored position when vacated. 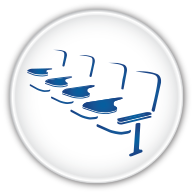 These flip-up seats and durable beam-mounted floor supports make cleaning and maintenance easy, too. Beams can be straight or curved and mounted to flat or sloped floors. 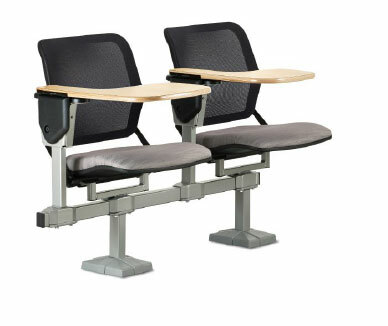 Sequence HD lecture hall seating is available with Torsion on the Go! or Torsion Air seat shells in flex or non-flex backs. 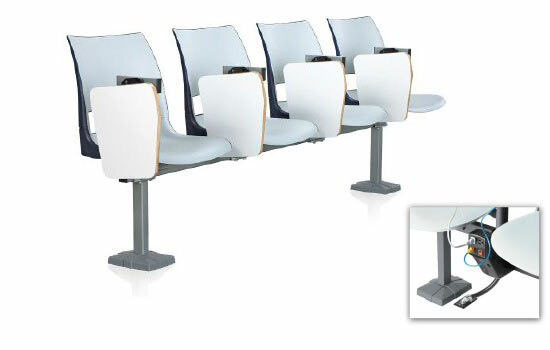 durable, beam-mounted lecture hall seating in curved or straight configurations. Ample under-seat clearance provides ease of cleaning. optional power and data module to accommodate technology needs. 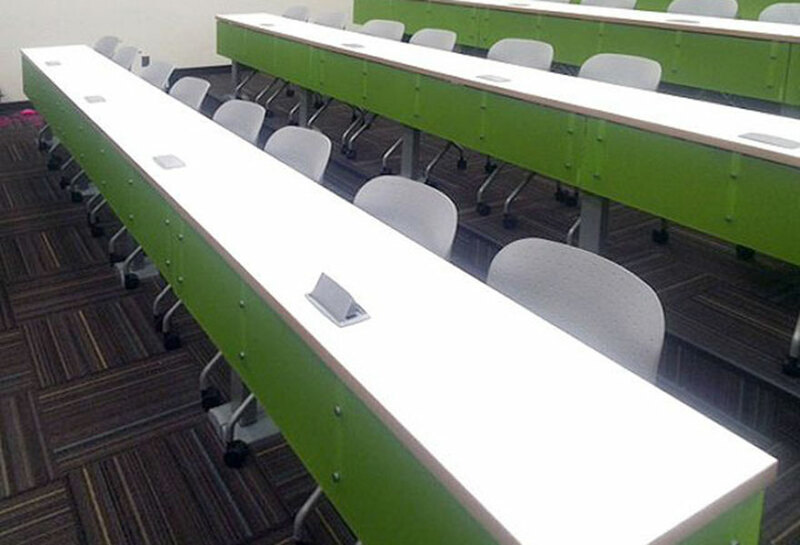 University Seating is an integral part of any interactive lecture hall or training environment. University Seating accommodates a wide variety of individuals. Floor-mounted bases support swing-away arms. Self-returning swivel seats automatically align when vacated for a clean, orderly look. 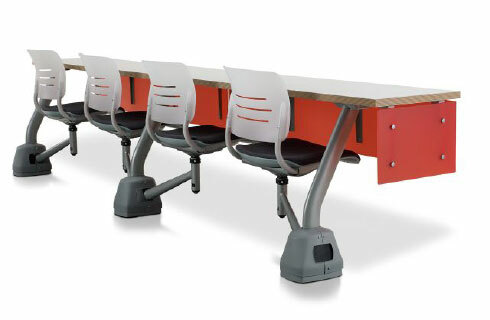 Large continuous table tops provide more space for writing or computing than tablet arm seating. Today’s lecture halls need to be accommodating to different teaching styles. 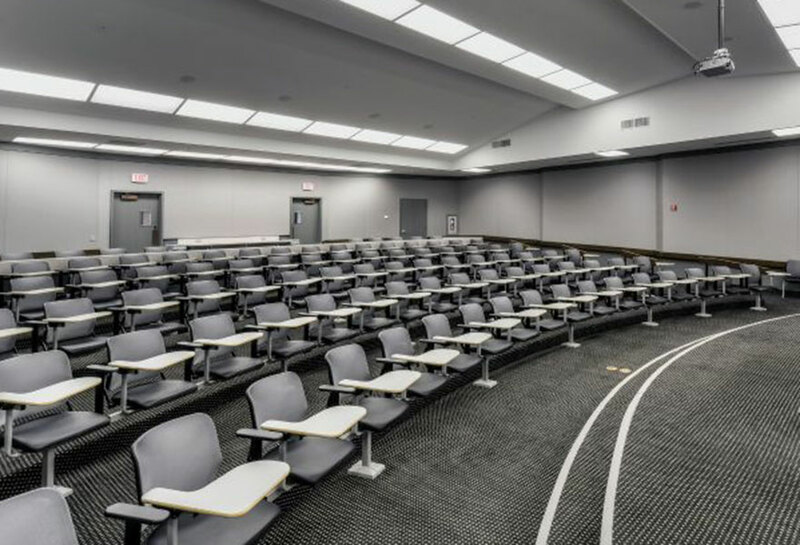 The 360 Degree option allows students to turn completely around to engage with students in the row behind them, which makes lecture halls more collaborative than standard fixed seating. Under seat clearance and remarkable durability allow easy cleaning and maintenance of University Seating.